Back in August last year, Vibe K5 Note was launched in India at a starting at Rs. 11,999. It comes in 3GB and 4GB RAM variants with 32GB of internal storage. 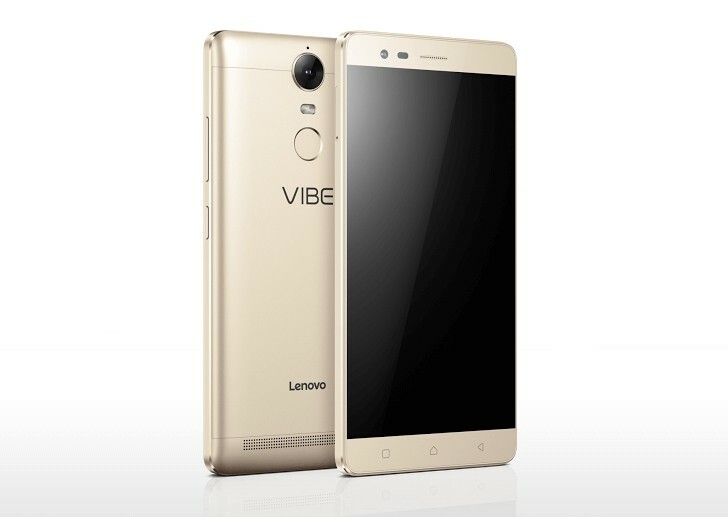 Lenovo Vibe K5 feature a 5.5-inch (1920 x 1080 pixels) IPS display powered by a 1.8 GHz Octa-core MediaTek Helio P10 processor with Mali T860 GPU. It has a 4GB of RAM and 64GB of internal storage which is further expandable with MicroSD card. On camera it comes with a 13MP rear camera with dual-tone LED flash and 8MP front-facing camera, 77.4-degree wide-angle lens. Connectivity options include 4G VoLTE / 3G HSPA+, dual-band WiFi 802.11 a/b/g/n/ac, Bluetooth 4.0, GPS. Dolby ATMOS.Packed with a 3500mAh Battery.